My mother has this whole set and it is *gorgeous*, I am actually somewhat jealous of her! Belated Happy New Year wishes! 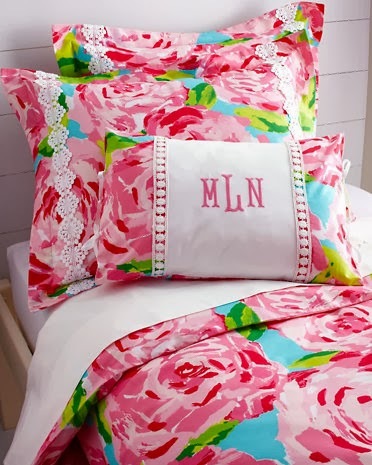 I have a Lilly coverlet and love it. I also really love the lucky charms bedding they are coming out with in the spring! This is such a pretty set, the colors just pop off the page!